Interested in licensing the music of Per Gessle? 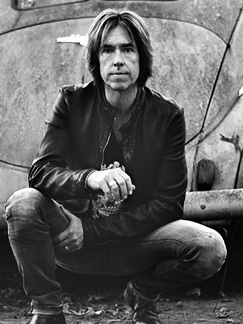 Per Gessle is one of Scandinavia’s most successful artists and songwriters of all time. With a gift for catchy hooks, both musically and lyrically, he has composed chart-topping pop hits for more than three decades. Starting his career in 1978 as the driving creative force in Swedish 80´s pop phenomenon Gyllene Tider, he eventually found global recognition as a songwriter and artist through his collaboration with singer Marie Fredriksson in Roxette. The duo’s second album ‘Look Sharp!’ was released in October 1988, and included the American No. 1’s ‘The Look’ and ‘Listen To Your Heart’ as well as international hits ‘Dressed For Success’ and ‘Dangerous’. ‘Look Sharp!’ earned Roxette worldwide acclaim, selling more than 10 million copies and paving the way for a continuous string of hits: ‘It Must Have Been Love’ - the main love theme 'Pretty Woman' and ‘Joyride’ also reached the No. 1 position in the US, the latter helping the album of the same name sell over 11 million copies. The tour album ‘Tourism’ was recorded during the Joyride-tour 1991-92, including two of the most popular Roxette songs ever; ‘How Do You Do!’ and ‘Queen Of Rain’. Crash! Boom! Bang!’ (1994) saw more chart action from the title track and singles ‘Sleeping In My Car’, ‘Fireworks’, ‘Run To You’ and ‘Vulnerable’. Per Gessle is the only Swedish artist/songwriter who has achieved four US No. 1 songs on the Billboard chart. With more than 75 millions records sold worldwide, Roxette is Sweden’s biggest music export next to Abba. But what makes Gessle unique is the relentless creativity that has made him so prolific and successful outside Roxette as well. He has released eleven acclaimed and/or best-selling solo-albums, received numerous awards, while since the mid 90’s keeping Gyllene Tider active with unprecedented success. The simple secret? After all these years, and after all this overwhelming success, Per Gessle still thinks writing songs is as fun and challenging as when he once started out.